Melt chocolate, add 1/4 to 1/3 cup of crushed peppermint candy, and mix well. Spread mixture onto cookie sheet lined with waxed paper, Sprinkle a small amount of peppermint candy on top, for a more appealing look if you wish, and let cool in refrigerator for at least 30 minutes. Snap pieces to your liking and serve as a Holiday treat! Once the mixture has set in the refrigerator it can set at room temperature for a few hours without melting. 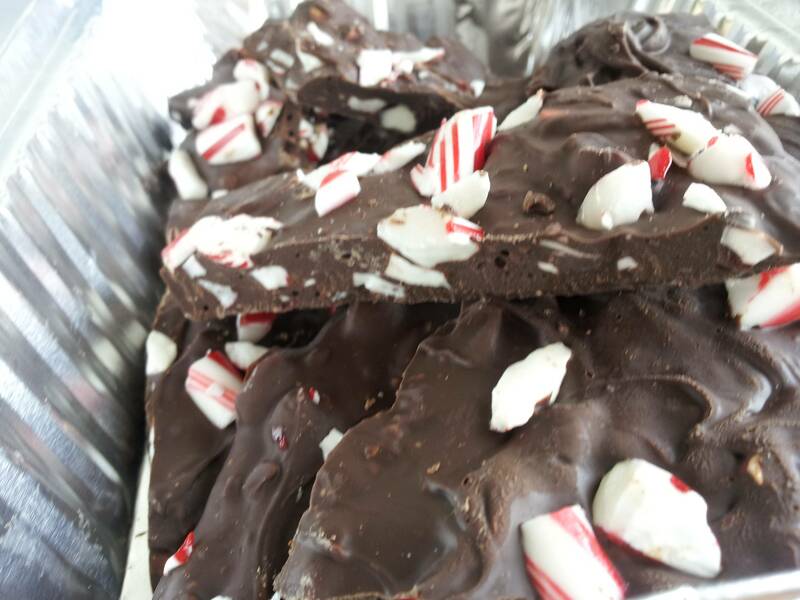 This entry was posted in Recipes and tagged chocolate, Holiday candy, peppermint.